Will Crafting Parts Ever Be Useful Again? So before the Progression System Update last year I grinded to get my crafting parts up to level up cards. However, they just give a Skill Point and not level up your Character. I'm currently sitting on 4,920 Crafting Parts. Will I ever be able to use them on anything useful? ... or am I stuck with a Useless Currency like the dish full of Bahamian Coins I have one my dresser? You could maybe use the crafting parts on all cards that aren't epic yet, so then you can just grind for credits when you level up your characters to get them to 40/70 etc. 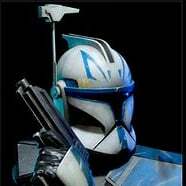 And if the rumors concerning new reinforcements turn out to be true, then you could use crafting parts on them and Anakin and any other new heroes. Depending on your ranks it might be too late, but did you know that every time you level up with purple cards you get 1k credits? What I mean is, if you spend all your crafting parts to get Skill Points, you will just get 1000 credits for each set of 40 crafting parts. It is not ideal, but it's better than sitting on them.